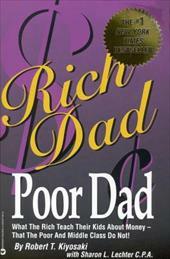 Rich Dad, Poor Dad: 2 books are better than 1. Anyone who has been reading local personal finance blogs regularly in the last few years would have no doubt come across many accounts by bloggers about how they read a book titled "Rich Dad, Poor Dad" by Robert Kiyosaki and that changed the way they looked at money. The book is about financial independence achieved through the ownership of income producing assets instead of working for a salary our entire life. Robert Kiyosaki is a natural story teller and the book is inspirational. I would suggest this as a companion read to "Rich Dad, Poor Dad" as Robert tries to encourage readers to invest in financial education and to start investing for cash flow. "It won’t happen overnight, and it will be hard work. But if you’re diligent, plan well, and execute your plan, you’ll be much better off in the future whether the markets are up or down." Robert Kiyosaki. Buy pre-owned from BetterWorldBooks and you will be helping the environment and funding literacy for the poor. Free shipping globally. 1. ASSI is an affiliate of BetterWorldBooks. 2. 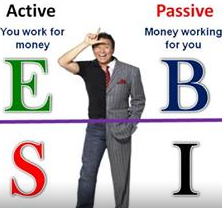 Seven steps to creating passive income from the stock market.